Why was my Foreclosure Case Scheduled for Non-Jury Trial?!?! | The Law Office of Emil Fleysher, P.A. Why was my Foreclosure Case Scheduled for Non-Jury Trial?!?! | The Law Office of Emil Fleysher, P.A. Home Blog Bankruptcy Why was my Foreclosure Case Scheduled for Non-Jury Trial?!?! If you are among the thousands of South Florida borrowers in Foreclosure that have recently received an order from the court scheduling a non-jury trial, your time and options are limited. 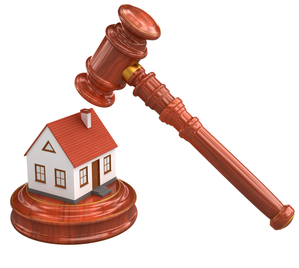 South Florida courts have enacted new rules and procedures to push through aging foreclosure cases, which will clear their case load but send myriad properties in to foreclosure sale and potentially flood the market with inventory. In Palm Beach, Broward, and Miami-Dade counties, block groups of trials are being set by the court, compelling both sides to the hearing unless given more time by a judge. However, judges have been loath to extend or cancel these trial dates in their efforts to clear the back log of cases from 2008-2011. The courts are forcing cases to trial en masse whether they are ready or not. While many are files that could and should be closed, a great deal of these cases also include borrowers who may be on the cusp of recovery and eligibility for modification. Lenders have been motivated to approve more short sales and loan modifications after the $25 billion nationwide settlement for foreclosure-related abuses. The settlement, between 49 attorneys general and Bank of America, Ally Financial, Citimortgage, JPMorgan Chase and Wells Fargo requires them to provide mortgage relief to borrowers. But the settlement also includes guidelines for proper foreclosure proceedings, which is giving banks the green light to prosecute their foreclosures and repossess the properties. For borrowers facing a trial date and in need of more time to prepare a defense, obtain a loan modification, close a short sale, or transition from the property, Bankruptcy may be the best and only option. The filing of a bankruptcy petition (either Chapter 7 or Chapter 13) prior to a foreclosure trial helps ensure that the trial is cancelled and perhaps provide time for an alternative option to be explored. For example, the Bankruptcy Court in the Southern District of Florida has recently implemented a Loss Mitigation Mediation Program for borrowers in Bankruptcy seeking a chance to keep their home through one of the several loan modification programs available today. Many borrowers have reportedly received principal reduction, reduced payments, etc. through a similar program that was implemented in the Middle District of Florida over a year ago.